2) The user can set the debounce value according to the personal preference to avoid repeated inputs. 3) By using the extension pins, the product can be expanded with the additional extended keypad for input. 4) The determination of the pressed keys can be performed either in the event mode or in the polling mode according though different program designs. 5) By pressing and holding the keys, the repetition rate of the key input can be configured. 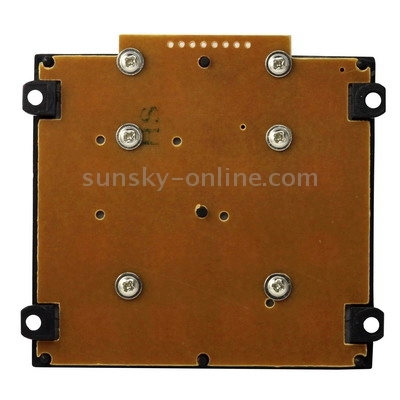 1) With the LCD display, it can rapidly emulate the function of a calculator by setting the suitable mode. 2) The keypad can be used for the password input with the case-sensitive capability. 3) The user-defined input function allows the user to set and detect different keys through the software to activate the module for versatile operations. 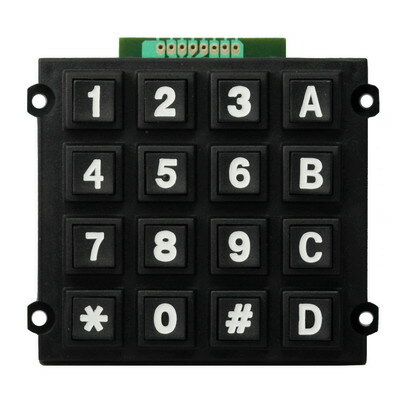 4) By setting the hold mode, the keypad can be used as the 8-direction keys for the wired remote control.